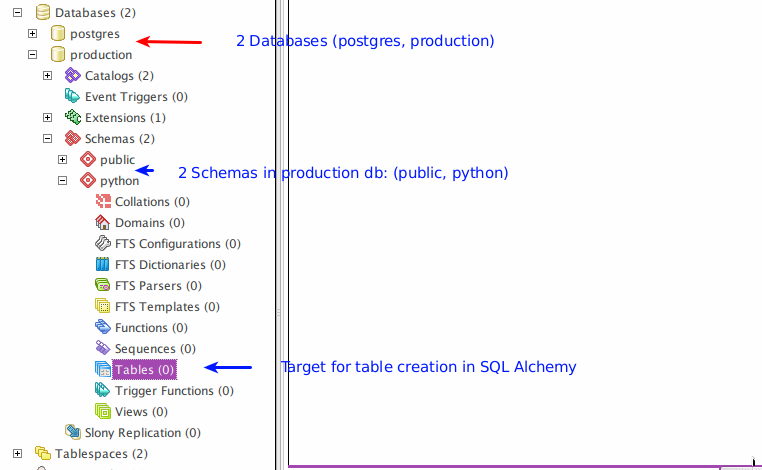 Quick and easy step by step approach to creating and dropping tables in SQL Alchemy 1.1 and 1.2. All done with a few lines of code. First, I want to begin looking at my existing database structure. I opened up pgAdminIII. In Postgres, I have 2 databases, postgres and production. I am interested in connecting and working in the production database. In the production database, I have 2 schemas, public and python. I will be working in the python schema in this example. If you have any questions up to this point, please comment. 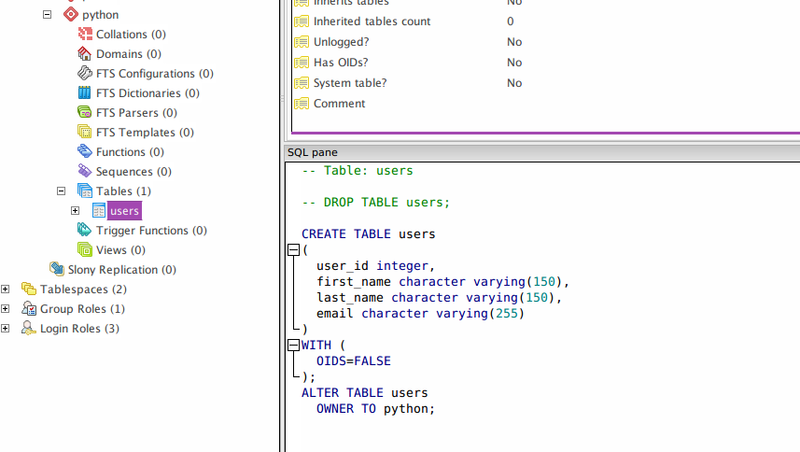 As you an see, the table users has been created with the exact same structure you defined in your code. Go back to your pgAdmin, refresh your schema, and confirm that it is gone! 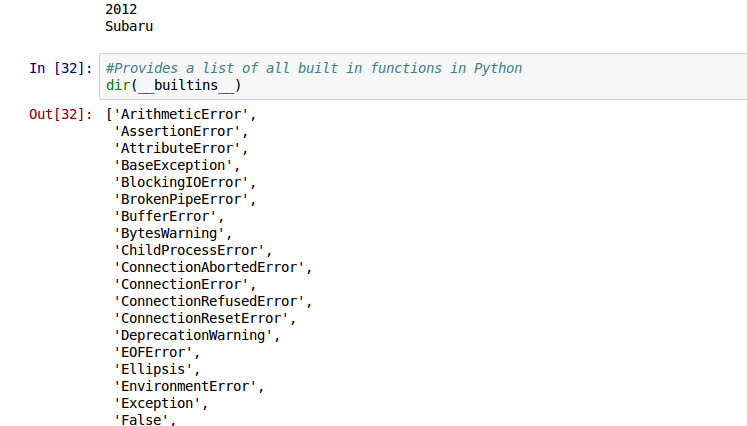 Below is the entire code output in the iPython terminal. 3.) virtualenv new_project #create a project directory and execute this command where new_project = your project name for e.g. From here, you can return to step 4 when you want to work on your project again. Or go to step 3 if you want to start a new project. After that, I am able to import psycopg2 on Jupyter running in my virtualenv with no problem!